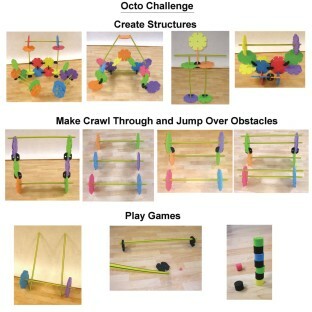 Build virtually any kind of obstacle! 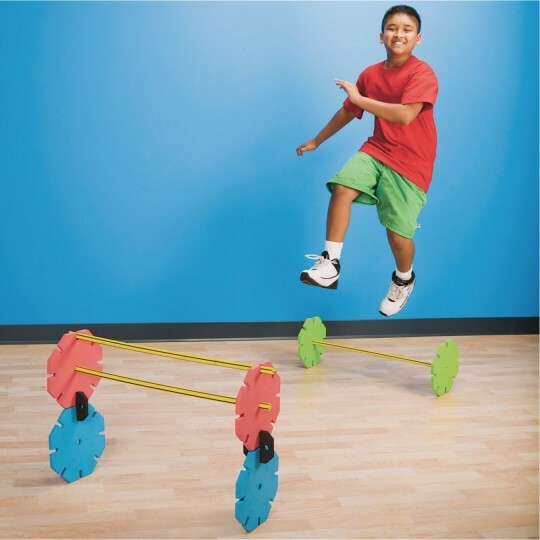 Use versatile pieces to make a variety of hurdles. Or obstacles kids climb over, through and under! 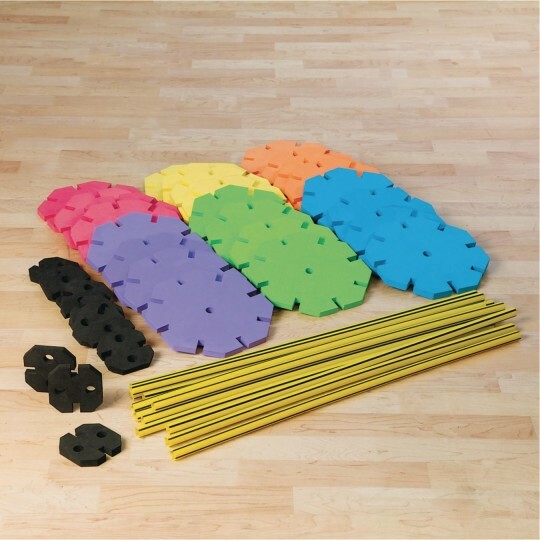 Add our hoops for even more fun and variety! 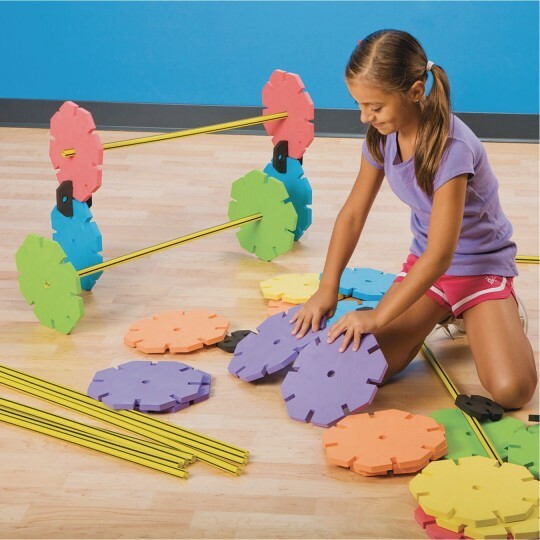 Use the versatile pieces in this set to make hurdles, obstacles to climb over, through and under, or build a virtually unlimited number of structures. 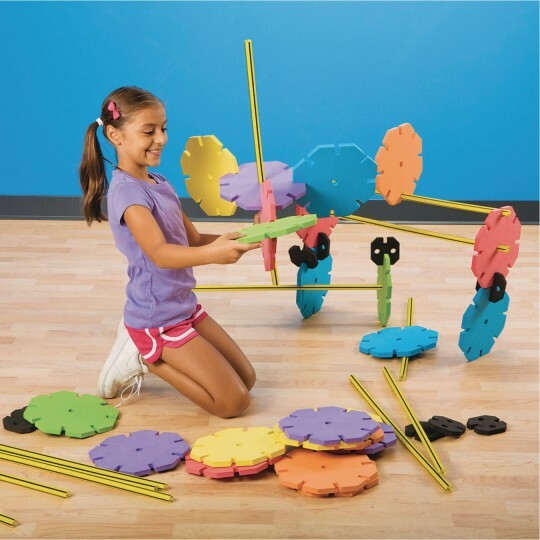 Add our Candy Striped or economy hoops for even more fun and variety! 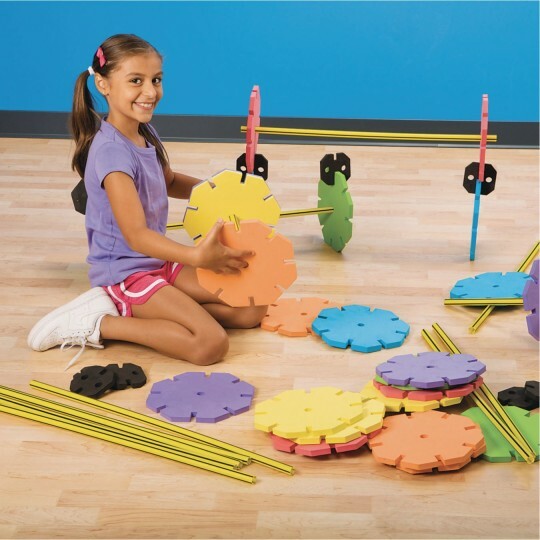 Set includes (24) 9" EVA foam octogon shapes with 4 each in 6 different colors, 12 smaller EVA foam connectors, (12) 28"L plastic tubes and an activity guide.